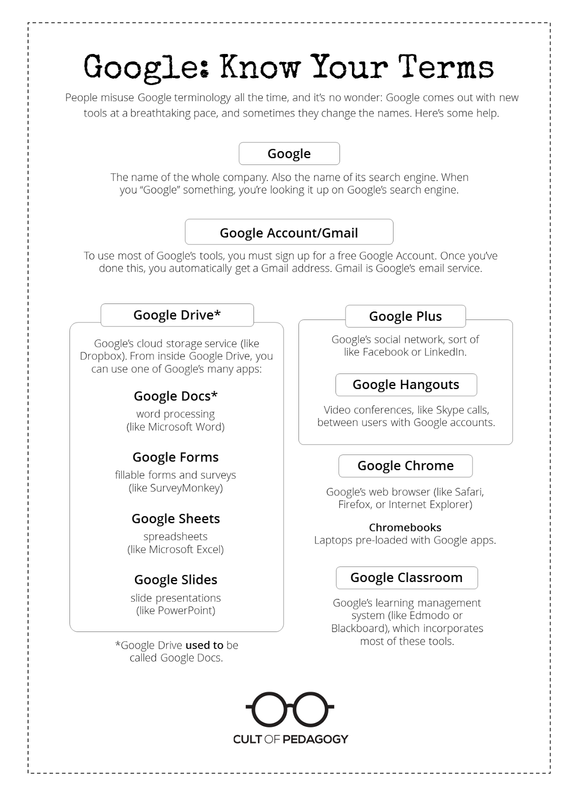 This year our school district began using Google Apps for Education. 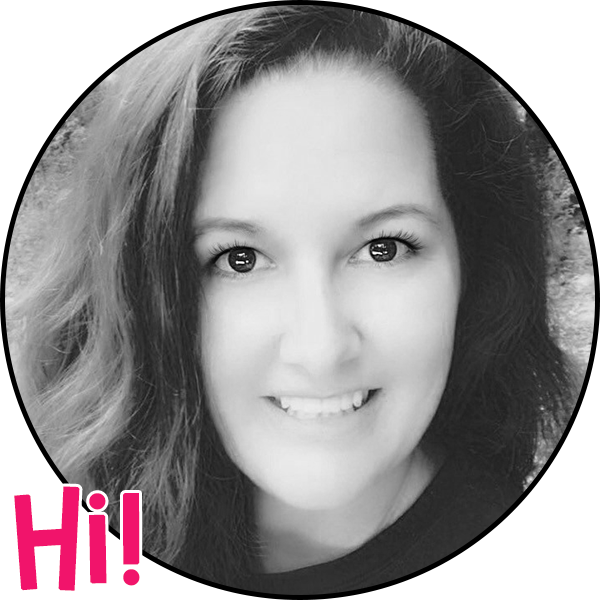 Although I was familiar with Google Drive and how amazing it was, I had no idea that Google Classroom could be just as amazing! I've really became a little (ok, extremely) obsessed!!! 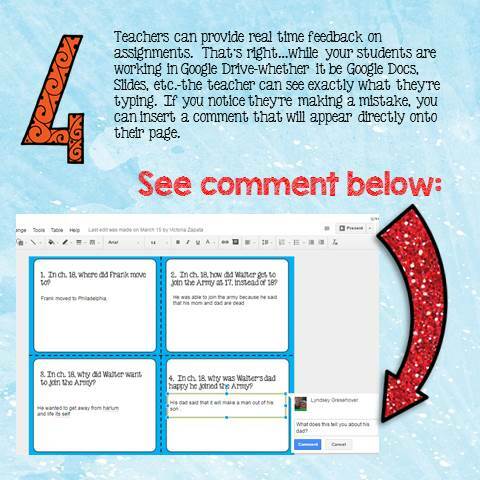 So that other educators can share in my obsession, I decided to do a post about why EVERY teacher should be using Google Classroom. For directions on how to create assignments, see my blog post on Erintegration. 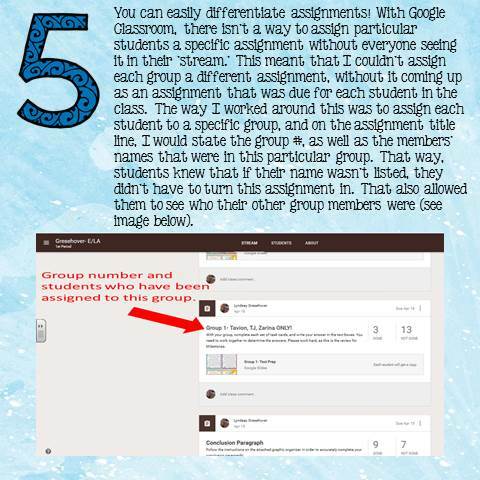 As I stated previously, a great deal of the assignments done in Google Classroom are completed using Google Drive. I found an incredible chart from Cult of Pedagogy that may help you to understand how the components of Google tools relate to one another. 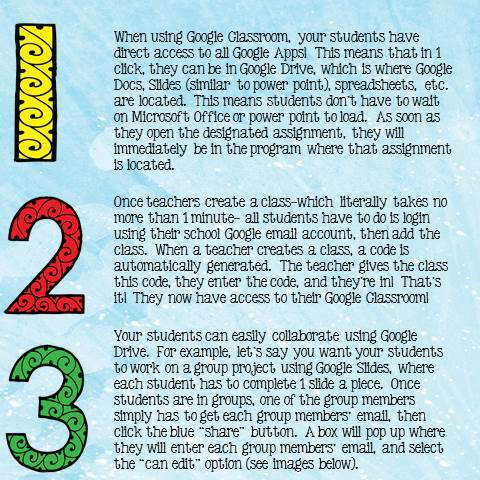 I would love to hear how you use Google Classroom and/or Google Drive with your students. Tell me about it in the comments.